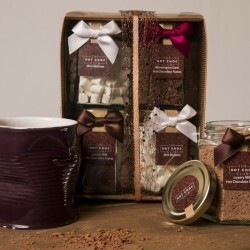 Luxurious, high quality hot chocolate gifts and subscription services for hot chocolates lovers. 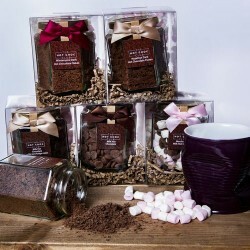 A family run business that was set up when self-confessed hot chocolate addict Emma became fed up with the standard high street brands, wanting to try different flavours and textures of luxury, high end hot chocolates Emma visualised a selection box of hot chocolates, much like a box of chocolates, one should be able to try different flavours and textures every month. 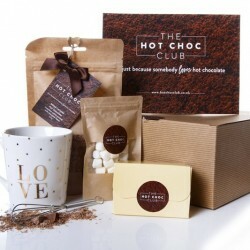 With this vision The Hot Choc Club was born. 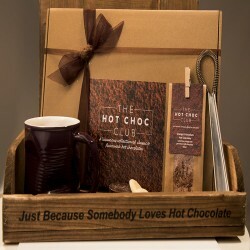 Rich took the idea and made it a reality sourcing luxury hot chocolates from suppliers who were equally as passionate about hot chocolate, they sampled various flavours, textures and brands in order to bring to you the very best and most luxurious hot chocolates they could find. Emma and Rich continue to work with new suppliers every week so sampling is never ending – they truly love their jobs.